Our Deluxe Two Bedroom Apartment is the perfect place for a group of friends or a small family to enjoy a short break in central York. 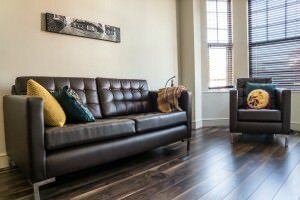 This apartment has a larger living area than our other two bedroom apartments and can therefore sleep 5 adults therefore offering excellent value for money. 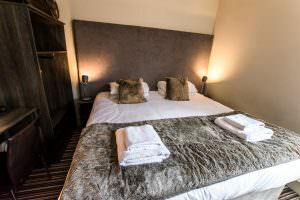 The bedrooms are also slightly larger so that your stay with us is more comfortable. Sleeps 5 adults plus 2 infants under 2. Layout: Private apartment in building. Bedroom 1: 1 king (5 feet). Bedroom 2: 1 queen (6 feet) or 2 single (Please let us know which layout you would prefer). You have the choice of layouts in the second bedroom, allowing you a super king bed or twin beds. The twin beds are full sized singles. 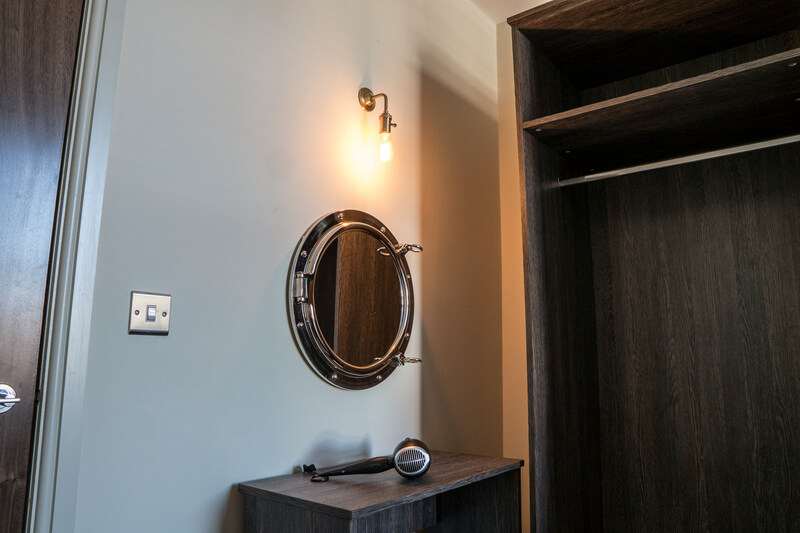 Both bedrooms contain a dressing area with mirror and a hairdryer so that you can look your best. There is also a full sized mirror in the hall because you’ll want a final check before you go out! There is also a fold out bed (full size single) in the living area that allows you to have one extra guests in here. We also provide you with an iron and ironing board so that you can refresh your clothes after your journey. Bathrooms: 2 bathrooms, each with a shower. One of the bedrooms has an en suite bathroom. 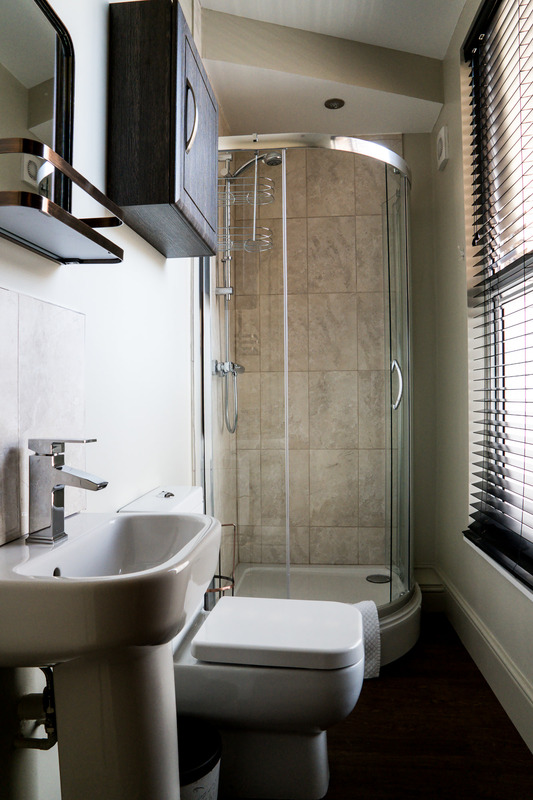 There is then also a further bathroom accessed from the hallway that can be used by guests in the other bathroom and those using the sofa bed. Our Deluxe Two-Bedroom Apartment is beautifully furnished and decorated. There is lounge seating for 5 people and a dining table and 5 chairs. Our welcome pack includes toiletries, tea, coffee and fresh milk. We also include some local artisan produced chocolates for you because you’re worth it! We provide all the kitchen equipment you need to make a simple meal. The kitchen contains a full oven & hob, dishwasher, and microwave. We provide cutlery, crockery & pans, as well as a refrigerator. 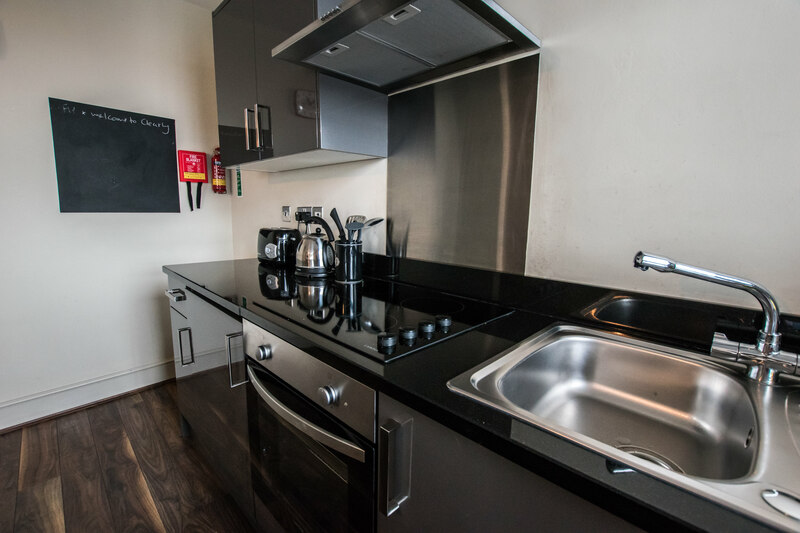 Laundry facilities are available in the apartment block and are free to use. Free Wifi is available in all rooms because you’ll want to stay in touch during your stay. Apartment Facilities: Iron, Desk, Ironing facilities. Sitting area, Sofa. Shower, Hairdryer, Toilet, Bathroom. TV, Radio, Flat-screen TV. Refrigerator, Microwave, Dishwasher, Kitchen, Dining area, Electric kettle, Kitchenware, Oven, Stovetop, Toaster, Dining table. 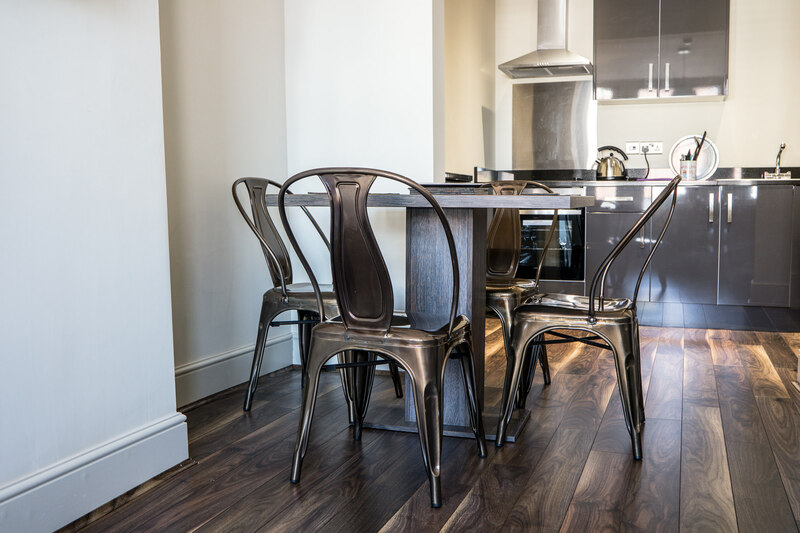 Our Deluxe Two Bedroom Apartment is on the first floor so that it is easily accessible. All of these apartments are on the ground or first floor so that they are easily accessible. Please request a ground floor apartment if you would like one.